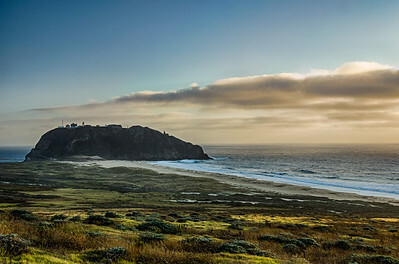 Photos of the Pacific Coast of California and Oregon. 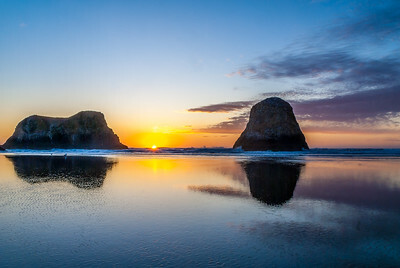 I captured this sunset from the Cannon Beach, Oregon shoreline. 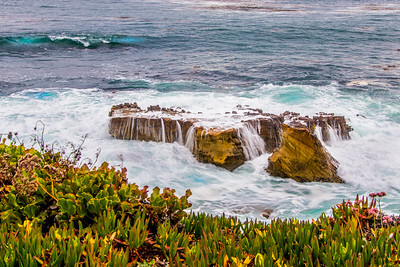 These huge​ columns of rock that jut out of the ocean, close to shore are known as sea stacks. 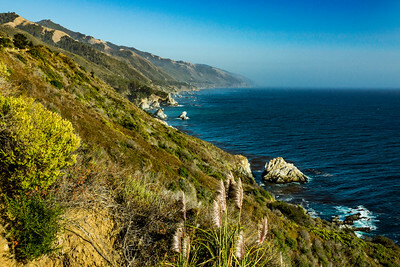 The California Año Nuevo State Park preserves and protects the scenic, biological, ecological, and cultural values of the central California coastline, including Año Nuevo Island and properties on the western slope of the coast range inland from Año Nuevo Point. 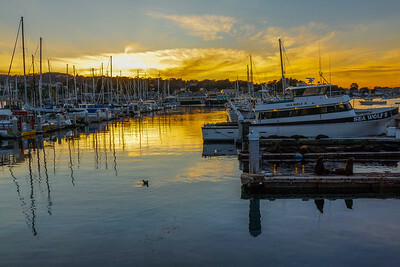 I took this photo ​of Monterey Municipal Marina at sunset. 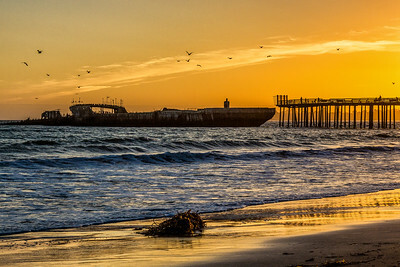 You can see the Harbor Seals lying on the docks in the foreground. 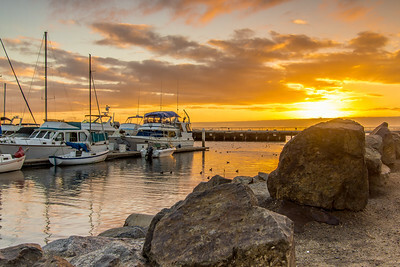 The marina accommodates 413 slips ranging in size from 20 to 50 feet in length. 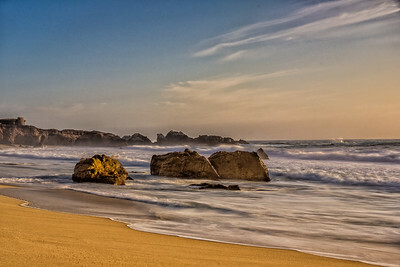 Located next to Fishermen's Wharf in Monterey, California,​ which has many restaurants and shops. 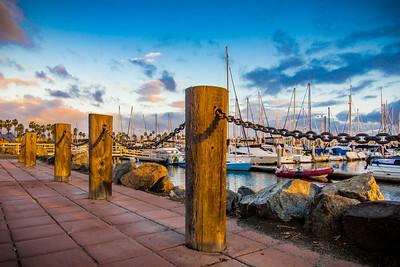 This marina is a must see when visiting Monterey. 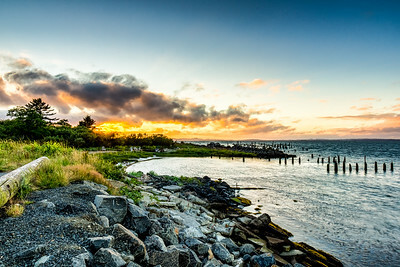 I captured this sunset at Fort Stevens State Park on the Columbia River in Astoria Oregon. Fort Stevens was once the primary military defense installation in the three-fort, Harbor Defense System at the mouth of the Columbia River (along with Forts Canby and Columbia in Washington). The fort saw service for 84 years, from the Civil War to World War II. 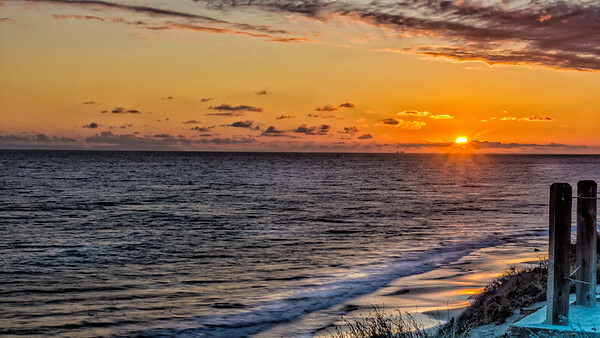 Today, Fort Stevens has grown into a 4,300-acre park offering an ​exploration of history, nature, and many recreational opportunities. 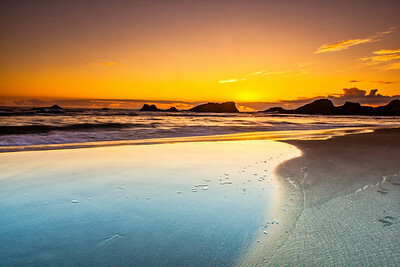 ​I captured this sunset on Seal Rock Beach at high tide. 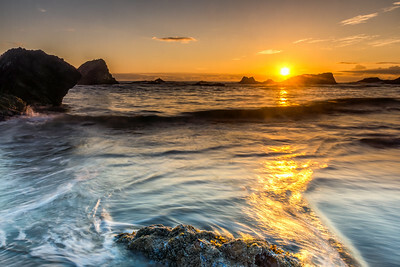 Seal Rock State Wayside has sizeable off-shore rock formations which are the habitat of seals, sea lions, seabirds and other marine life. 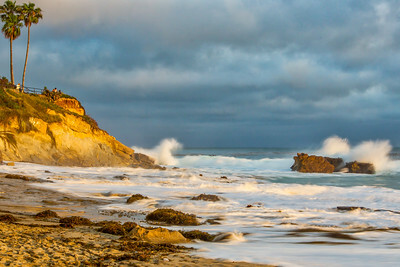 The wayside includes interesting tide pools as well as excellent ocean views and a sandy beach. The picnic area developed for day-use is in a pleasant stand of shore pine, spruce, and salal plants. 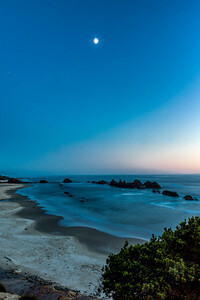 I captured​ this pink glow of the Belt of Venus and the moon at Seal Rock Beach, Oregon during high tide. 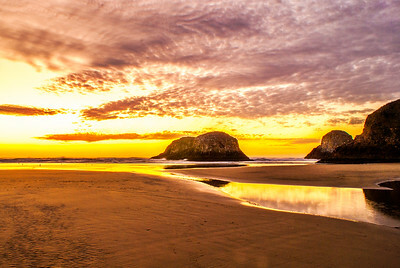 Seal Rock State Wayside has sizeable offshore rock formations, which are the habitat of seals, sea lions, seabirds and other marine life. 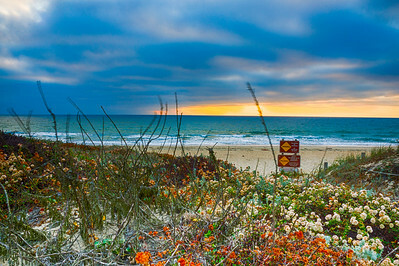 The wayside includes​ tide pools as well as excellent ocean views and a sandy beach. 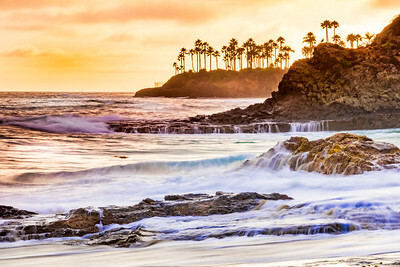 I captured this ocean view high above the cliffs along Heisler Park in Laguna Beach, California. 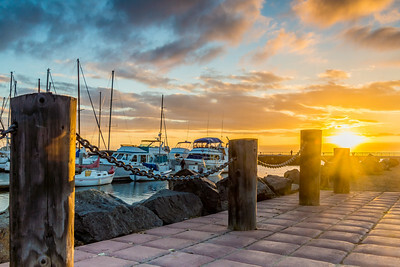 This park sits high above the ocean offering beautiful views of the ocean and beaches below. 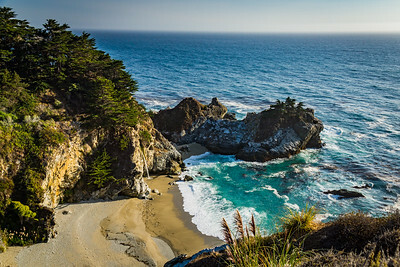 The park offers many accesses to the beach along the cliffs. 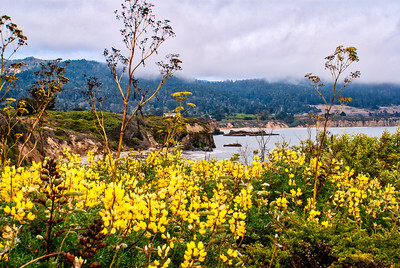 Long considered the “crown jewel” of the California State Park system, Point Lobos State Natural Reserve is a magnet for nature lovers the world around. 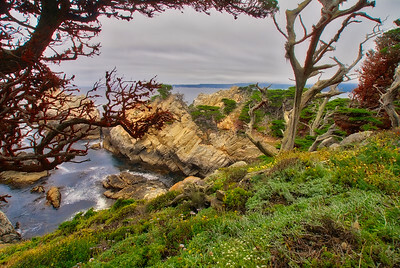 From its breathtaking beauty to its fascinating wildlife, Point Lobos is a place where one can escape to the serenity of nature at its best.